Just to give our visitors an idea of what they’ll see at our New Bingo location at Finnigan’s Hall. 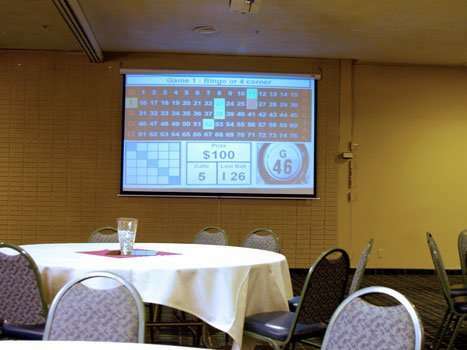 See our Bingo’s Hall Large Screens that provide Bingo Numbers and Game patterns. This was taken at the back of Finnigan’s Hall.